It’s almost turkey time! This week is all about preparing for the Thanksgiving week ahead. Gary Adkins will be representing DLRC at the Michigan State Numismatic Society Convention on November 23-24. Contact us if you would like to see anything from our inventory at the show and be sure to stop at Table A8 directly in front of the entrance to see Gary with any coins you have to sell. Secondly, we have loaded up our <a href=https://www.davidlawrence.com/en-us/?auctionids=600699" style="color:#0066cc">Sunday Auction #1040 that closes Thanksgiving weekend with over 400 lots including 27 fantastic selections from Part 5 of the <a href=https://www.davidlawrence.com/en-us?collectionIds=282564" style="color:purple">Creole Collection. This is always one of the most viewed online auctions of the year, and we’re anticipating the traffic and participation will be strong once again! Besides the ramped up holiday preparation, John is currently attending the PCGS Show in San Antonio, Texas this week. You will be seeing new purchases from his adventure to the Lone Star State hit the website in roughly two weeks. Stay tuned as plenty of new coins are on the horizon. Note: Our office will be closed November 22-23. Please email any inquiries those days to coins@davidlawrence.com. Why we love it: An Aureus from the time of Tiberius is a special item as it represented approximately 25 full days’ wages. An unusual offering that is certainly one of the most historically significant items we’ve had on our site in some time, this coin is certain to fascinate the historian amongst collectors. Value: Reserved in this week’s auction for $4,650, it seems like a better value than a Denarius of the time in this condition which could run up to $2,000 or so. Just imagine, this coin likely traveled through the hands of the armies of Rome as it traversed the land of Gaul (now France) from where it was produced in Lugdunum, now present-day Lyon. Why we love it: This coin is 100 percent one of the nicest Bust Dollars that we’ve handled. In fact, it’s more attractive than many of the uncirculated examples that we’ve handled in recent years. Lovely, original surfaces with just the lightest touch of wear, this coin is perfect for the collector of eye-appealing coins. 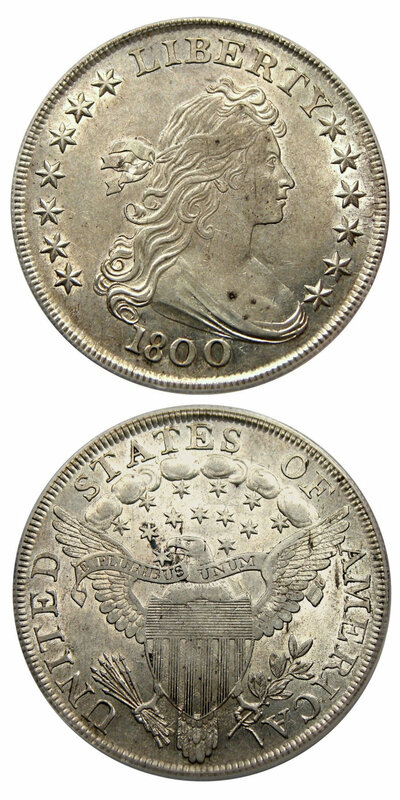 Value: The last auction record for a similar item brought over $20,000, with this exact coin changing hands for well over $18,000 just a year or two ago. This pristine piece is offered via Make Offer for just $16,000 this week, which seems like an astute purchase price. 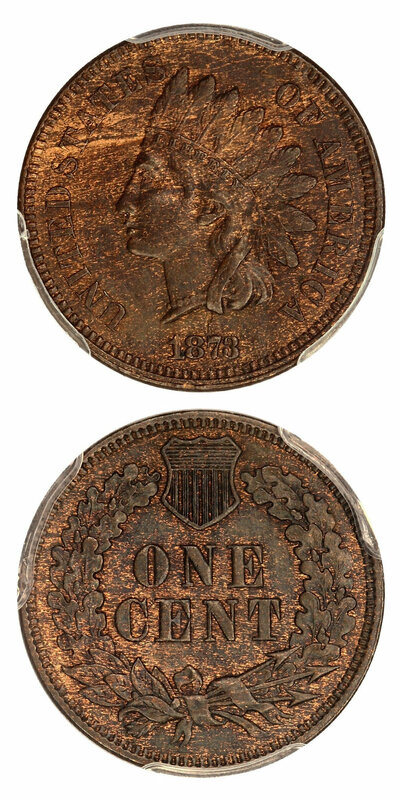 Why we love it: The Indian Cent series lacks many significant varieties, but the Doubled Liberty has always been one of our favorites of the few options. Discovered in 1957, it has been listed in all die variety and error guides for several decades, leading to the fact that this variety is certainly a scarce one as less than 28 pieces have been discovered finer than this example, with no gem (65 or higher) examples at all. Value: This date does not appear often enough to have established a real track record in uncirculated grades as far as auction records. This exact coin was recently graded by a customer of ours and is new to the market. With the CPG coming in at $10,300 and the PCGS Price Guide of $8,000, this piece is reserved for a fair $7,750 in this week’s auction. 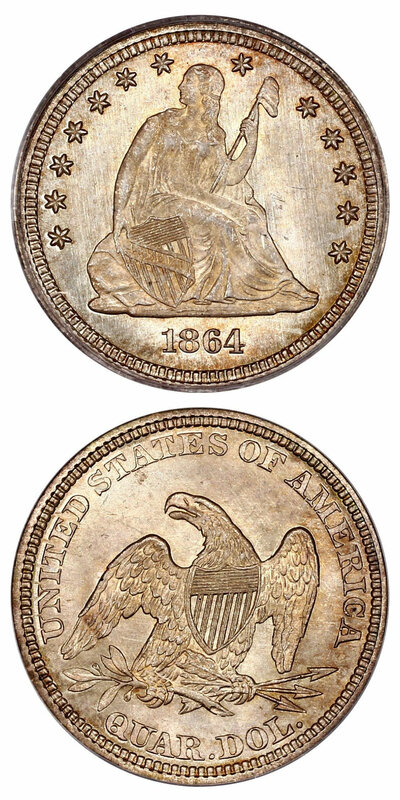 Why we love it: As the Civil War wound down and the South began to lose the major and minor battles, this piece was produced at the Philadelphia Mint. Interestingly, it was well-preserved and is one of the few true gems that we come across from this period. With only two others graded as such and four appearing finer by PCGS, we love the scarcity of such a grade. In fact, the only PCGS MS67 that is graded finer resides in the D.L. Hansen collection and will not be on the market for quite some time. Value: The CPG is silent on this grade, but the PCGS Price Guide comes in at $12,500. With the most recent auction record coming over a decade ago at nearly $11,000, we certainly like the value on this coin that is reserved for just $11,500 in this week’s sale. Why we love it: Well, no visit to the Alamo seems fair without a comparison to one of the classic coin designs of our Classic Silver Commemorative Series. While the dates of the Texas commems span from 1934-1938, the 13-coin set is popular amongst collectors, and we always appreciate the nice examples that come across our desks. In fact, Jason Smith has a personal set housed in Old Green Holders that he’s put together over the last two decades. Value: As Jason would tell you, the 1938 issues were always more difficult to locate, and it was one of the last coins we helped him find for his set. This lovely group is available via Make Offer for just $1,250, a nice discount from our regular price of $1,400! Why we love it: The 1918-D is one of our favorite dates in the series that is extremely scarce with the Red designation. Well-struck with gleaming surfaces, this unusual gem is destined to be a highlight of a respected Lincoln Set. 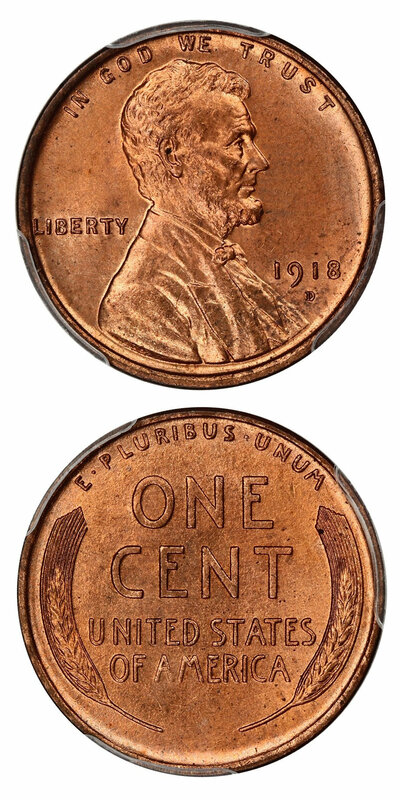 The Lincoln Cent continues to be one of the leading series for collectors and when a special example and date like this comes along, it tends to move quickly. This is the first gem example that we’ve had the pleasure of offering in quite some time. In fact, it seems to be the only superb gem that we’ve ever offered! Value: The Greysheet bid price comes in at $28,000 with a CPG value at $33,900. Offered with a conservative reserve of just $27,000, we expect this coin to move quickly. Unfortunately, the PCGS Price Guide of $25,000 comes in below what all the previous auction records have brought. The last sale was in 2013 for just under $26,000, but previously examples had garnered north of $34,500! Why we love it: The Capped Die version of the 1879-CC Morgan is a slightly better value in our eyes than the non-Capped Die variety, especially in grades below MS65. This frosty, lustrous example is certainly a pleasing piece with surfaces that are nice and fully original as designated by the CAC sticker. Value: With the CPG coming in at $7,750 for a non “+” graded example and the PCGS Price Guide of this coin coming in at $9,000 for a non-CAC’d example, we see this as an excellent value at the present level of $7,500 via Make Offer! Why we love it: While an MS66 example of the High Relief version of this date would run you well over $60,000, we love buying the Arabic Numeral versions in gem condition for 10 percent of the price! A stunningly nice example, this popular first year of issue Saint is always one of our favorite dates that we can offer. Value: With the wholesale Greysheet value of $5,750, the CPG at $7,190 and the PCGS Price Guide at $6,500, we come in at $6,000 for this lovely piece via Make Offer. Why we love it: The Mercury Dime continues to be one of the other most popular series amongst collectors of today. This lovely, original example is fully struck with pleasing surfaces and nice eye appeal. 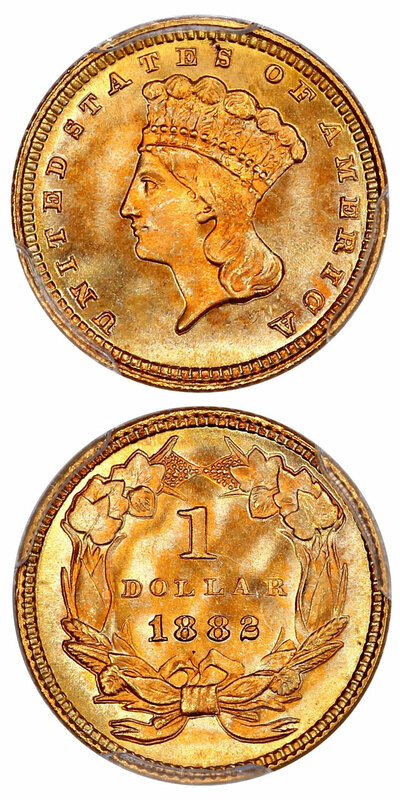 Produced in a rather large mintage compared to that of the year before, this date typically was not as well-preserved in general and gem examples are difficult to locate. Value: The PCGS Price Guide registers at $5,500 with the CPG coming in at $6,250. With the last auction records in September bringing over $5,000, this piece is being offered via Make Offer for just $4,850 and is simply a superb offering at a fair level. 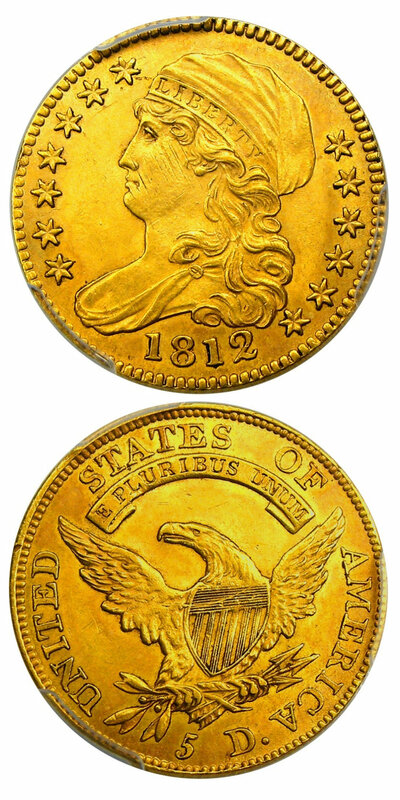 Why we love it: Gold dollars are often un-appreciated in comparison to the larger gold coins of the late 19th century. This pristine superb gem is simply a gleaming example that is vibrant with luster and beautiful eye appeal. A nice opportunity for a nearly perfect piece. Value: The PCGS Price Guide comes in at $5,000, but we are pleased to offer a very fair price of just $4,250 via Make Offer this week! 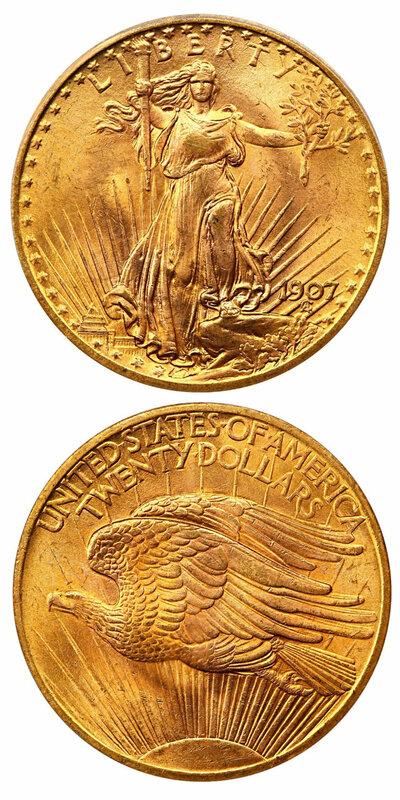 Why we love it: An early gold half eagle with amazing eye appeal. What’s not to love? Value: The CPG comes in at $26,000 with the PCGS Price Guide at $25,000, making this opportunity that is coming in at $23,500 via Make Offer an excellent chance for the collector or investor. 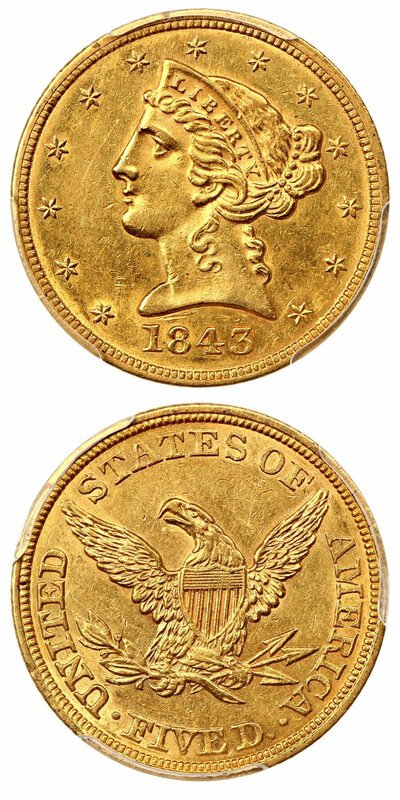 Why we love it: This slightly better date Liberty Head, No Motto $5 gold piece has gorgeous, lustrous surfaces and great eye appeal. Value: The CPG comes in at $2500 with the PCGS Price Guide at $2050. We’re offering this piece at a nice discount as it has sat in our inventory for quite a while, and we’re pleased to mark it way down to just $1,825 via Make Offer! Why we love it: Coming from a lower mintage of just 364,600 coins struck, this is an affordable example of a popular, early New Orleans issue. Value: With the CPG at $2,340 and the PCGS Price Guide at $2,750, this piece being priced at $2000 via Make Offer is an excellent value for the collector. Why we love it: The year of 1836 was an important one as it marks the year of the Battle of the Alamo and paved the way for Texas Independence. It was also a fantastic year for a truly beautiful coin design. One of the most under-appreciated design types, we’ve long loved the value of these issues and when offered for a fraction of the price of the earlier gold issues, we chase them due to the long-term value. Value: With the CPG of $5,310 and the PCGS Price Guide of $5,000, we can offer this coin for a discounted $4,750 via Make Offer.